Today, I'm looking at a pair of bargain light-up miniature buildings I found in drug stores last year. The larger is actually lights up AND plays music, while the smaller, cheaper one just lights up. Let's start with the large, red thing labeled "Holiday Town." 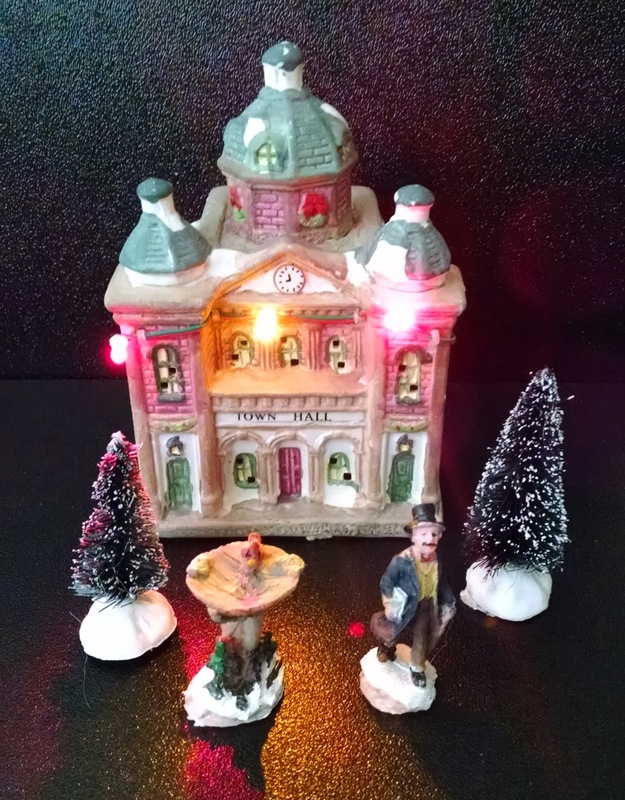 This was a fairly good looking piece (the snow, characters, building, and assorted decorations were all fused together), though it was quite a bit more pricey than the other. If memory serves, I found this at a Bartel, where it had at one point been $20. I'm sure I paid no more than $5 (probably less). Also, if memory serves, this had a fairly interesting light/music set-up. Note how everything in the last paragraph is written in the past tense. 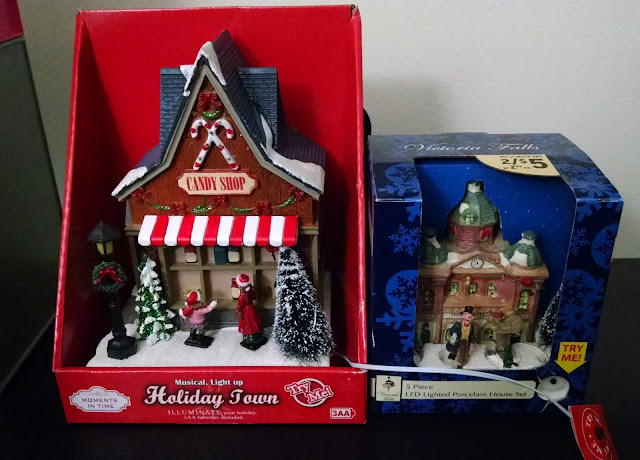 Every year, I buy crap like this and tell myself I'll take it right home, unbox it, and get my pictures. And every year I wind up shoving it into a box. Hell, I'm not 100% sure I picked this up last February and not the year before. Did I mention this came with batteries? 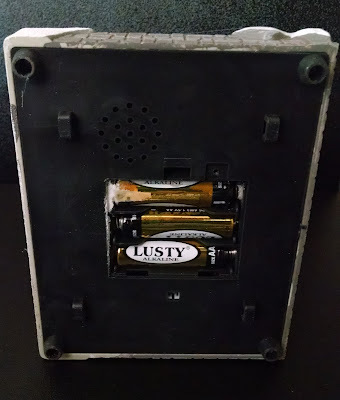 Yes, those are Lusty brand batteries. 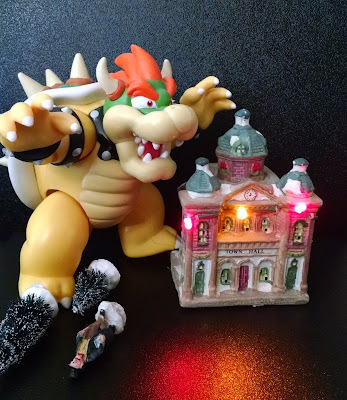 And, yes, one of them exploded. Let's move on, because the jokes would just be too easy. I pulled the batteries, but the connectors looked too badly damaged to salvage. I could have cleaned it and kept the piece as a display without the electronics, but it just didn't seem worth the effort. So I tossed it. 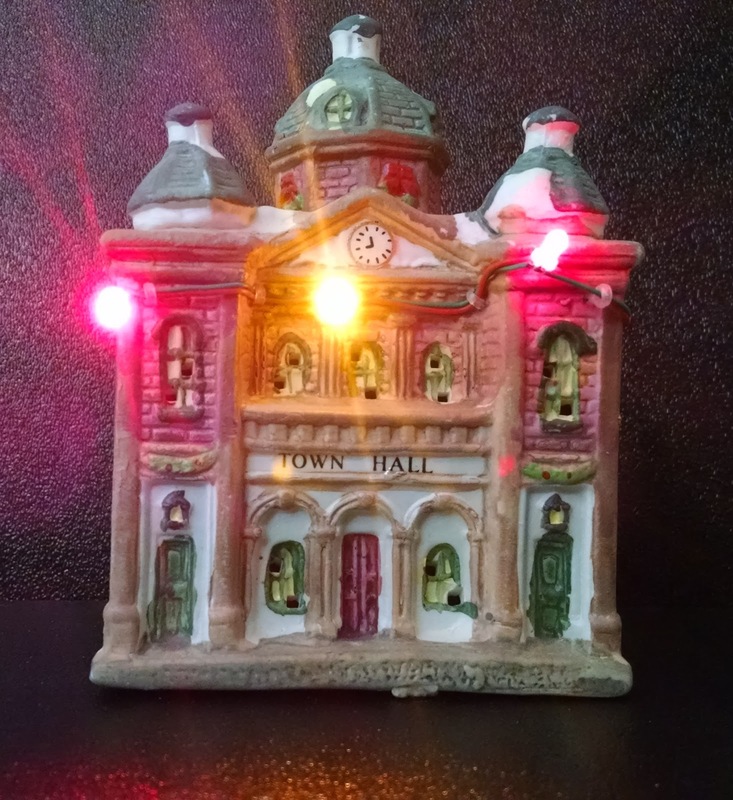 Let's move on tp the "Victoria Falls 5 Piece LED Lighted Porcelain House Set". I have no doubt that this one would have fared no better had there been batteries inside. Fortunately, the company left those out and used a separate watch battery on a connected wire to power the "Try Me" feature. I'm sure they just did that to save some money, but it's actually a better policy for this kind of seasonal stuff. The watch battery had long since died, so I popped in the AAA's and fired it up. It's not much to look at - just three small lights on an ugly wire - but it worked. In addition, this set came with four small miniatures: two wire trees, a malformed person, and a bird feeder. This started out at three bucks or two-for-five, though I found it at a buck fifty at a Walgreens. It's pretty crappy, but it's hard to quibble at that price. Hell, you can find trees like those going for about that much at craft stores. So... I guess it's a deal. Sure, it's garbage, but it's a good price for garbage. Still, I feel like it's missing something. There. Now it feels like Christmas.